Over the last two nights, Impact finished their week of television tapings in Ottawa, Ontario, Canada with a few title changes, a career vs. career match, and a couple of debuts. 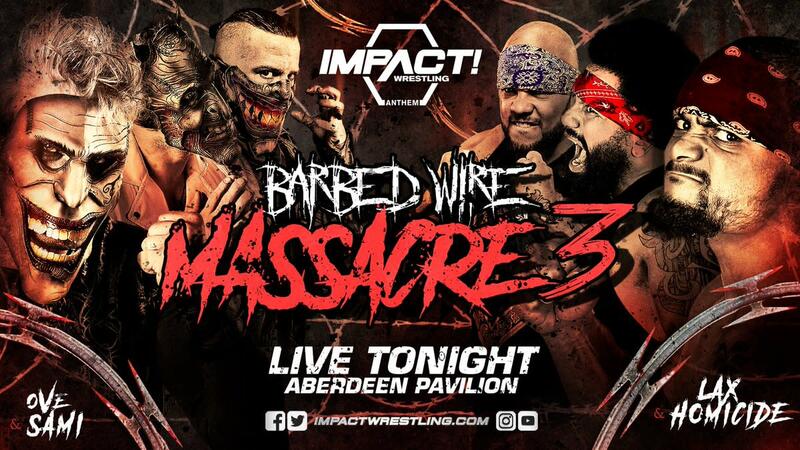 Results from the shows are listed below, with notes from the previous days of tapings available to read in this week's edition of the Wrestling Observer Newsletter. This began Ishimori's first reign as X Division Champion. Former EVOLVE wrestler Ethan Page made his debut for Impact Wrestling as Park here. Storm cut a promo thanking Jeff Jarrett, Dixie Carter, and Bob Ryder after the match. Kong won this, which was a match for Impact's Xplosion TV show. The match was thrown out when Sydal attacked EC3. Van Ness had won the championship in a tournament earlier in the week. This was said to be a very good match. Rosemary did a promo after where she was attacked by Hania the She Wolf, who was making her Impact debut. Van Ness retained after a ref bump and a title belt shot to the head. KM caused Lashley to lose the match. Lashley had enough of American Top Team and he and Moose both beat them up after, then Lashley and Moose shook hands.